SETsquared, the global number one university business incubator and enterprise partnership between the universities of Bath, Bristol, Exeter, Southampton and Surrey, is confirming its world-class status by training its member start-ups in the increasingly vital skill of pitching online for investment. Pitching for SETsquared’s investment programme previously involved running panel selection days in front of a live audience of investors and experts, which proved time-consuming for both the panel and pitching companies. In a move that’s an industry first, through the new online pitching process each company is able to deliver a five-minute pitch followed by panel questions and feedback for 10 minutes, to a panel of four to six investors and experts. The new online pitching process was undertaken for the first time this month as SETsquared prepares for its annual Accelerating Growth investor showcase next month (24 November). 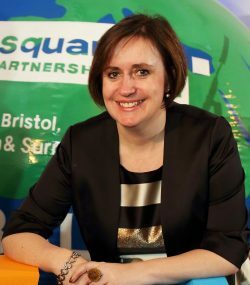 Karen Brooks, programme director at SETsquared, said: “The whole process ran very smoothly and we were able to conduct 43 pitches online over three days, whereas previously our maximum was 33. It proves the technology and internet connections are now at a level to make such a process work, and this way of pitching is now an essential skill for start-ups to learn.